The modern consumers are distinct creatures to that of previous generations: from travel, shopping and communication; there has been an entirely different approach to life thanks to technology. From the previous century, the way food chains and restaurants have been run has roughly stayed the same. For example, customer experience in the past century has remained relatively consistent from the introduction of diners, to the slow evolution of fast-casual restaurants and take-out joints. Create automated and transparent business intelligence/reporting in real time. The standard expectation of any consumer will be to provide good food at affordable prices, which are delivered quickly. To deliver on the above expectation takes tremendous effort and a highly efficient cohesive business operation plan. To increase the customer retention rate, the customer experience is imperative to your business. The younger generation consumers are always looking for newer, more unique experiences when it comes to dining and food. With new generations being more tech-savvy, it is a clear indication to involve technology as part of the dining experience in your business. Incorporating multi-channel marketing operations and store data from every visit made by a consumer to a restaurant, and additionally using that personal data for future consumer visits to ease their order and checkout process. A huge future product is Project Nourished, which aims to change the restaurant customer experience by infusing AR, artificial sensory inputs, 3D printing, and computational gastronomy to create an artificial experience of eating any type of food the customer desires without its harmful dietary drawbacks. 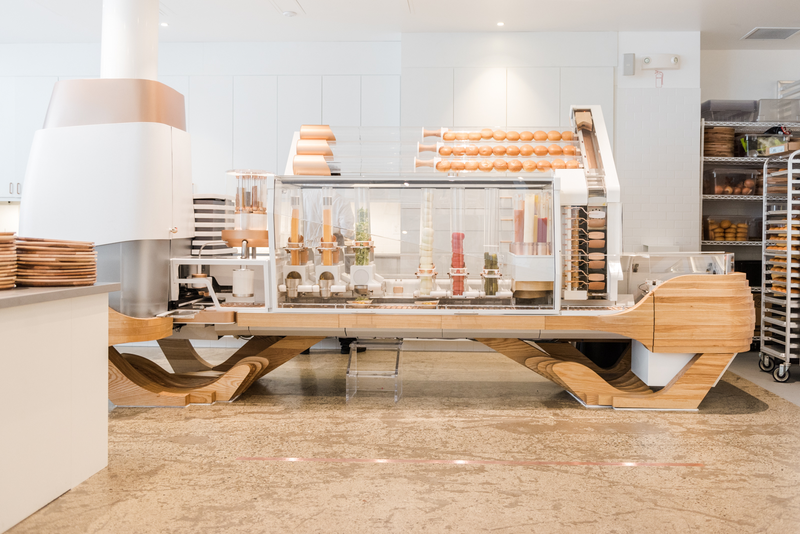 Another front-of-house operation system is Eatsa which is completely automated. 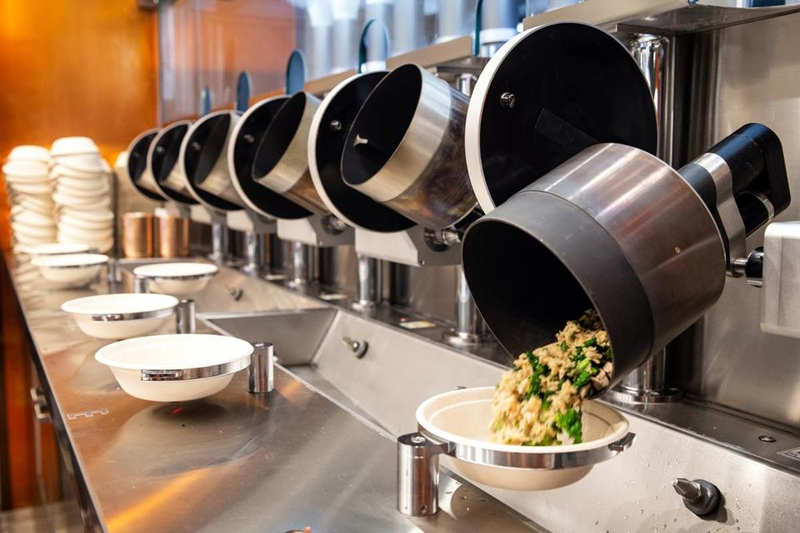 From ordering on kiosks to assembling the order to a self-service food pickup system which adds a more tech-savvy, futuristic experience to a fast-casual restaurant. The idea of ordering from a small open-fronted store gets the tech-savvy consumer excited about an experience that is convenient, hassle-free, and private. Reports say that customers are likely to order dessert 200% more from a kiosk, which shows more motivation towards using this type of ordering method to help boost sales. Kiosks also have the ability to store individual behavioral ordering data like the different age groups or genders and the ordering time per customer - this analytic data can be studied to provide business insights and prepare for future customer offerings. Using Kiosks can increase restaurant operation mobility and reduce fraud activities. Switching to digital platforms for payments offers a more secure platform for money transactions and reduces customer anxiety around making inaccurate payments. Link front to back-of-house staff to send important customized details like order preferences & real-time changes. Managers get real-time data around the restaurant to make instant decisions. Maximize customer service by completing guest requests instantly and informing responsible staff to take action. Complete fast and simple payment procedures directly from the table. Smart Tables are a powerful prospect which will could change the front-of-house scenario and eliminate the idea of going up to a counter or even a kiosk. By completely transforming the table from an out-dated, boring piece of furniture to a device that can take a customer’s entire order, remember menu preferences and recommend new dishes. Additionally, Smart Tables can take payments, remember payment accounts and complete service requests. Also, there are different visual features that can be integrated into the tables, such as a hologram showing every item on the menu. Most of what you read above was focused on how the front-of-house space can transform with technology, but there is another area that has the most direct impact on the customer experience. The kitchen has new tools and technologies coming through every year where chefs and operators can create new types of food techniques and dishes. Back-of-house operation will be going mechanical at some point in the future in most restaurants, and definitely fast food joints where high frequency and consistent quality are a prime requirement. Automated machines have the capability to perpetually produce sustained quality food in terms of shape, taste, and texture with a higher success rate than chefs. For example, Roostersbot is a portable food technology stand creating high-quality burgers at only $5; or, another example being the complete robot kitchen at Spyce in Boston where customizable high nutrition dishes are cooked for prices as low as $7.50. Using these automated kitchen machines means lower prices, with consistent food quality. Storing data on paper is a thing of the past, with new digital and cloud formats where you can track your inventory and automate purchasing operations. Switching to digital inventory systems help manage assets in a more organized fashion and increases operational transparency. Features like customized schedules for inventory purchasing and creating theoretical inventory levels and situations to simulate various situations can help management plan months ahead and cut costs at higher rates. The potential gains from introducing these technological solutions are significant and likely to be inevitable in certain segments (quick service, quick casual restaurants) as the consumer continues to demand lower prices and a smoother customer experience. These demands can be met by implementing automated systems and devices to assist in restaurant operations, specifically robotics and kiosks. 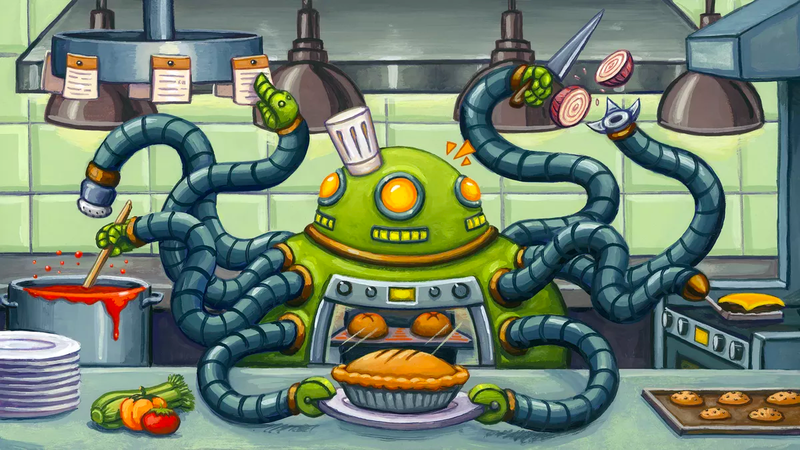 What is Machine Learning and why is it useful for the restaurant industry? Case Study: Why did Getti decide to use Tenzo?